McLaren’s MSO customization division exists to add a something special onto the brand’s already amazing vehicles, and it’s now taking another pass at creating a more luxurious 570GT for the upcoming Chantilly Arts and Elegance Richard Mille. The event has automakers pair up with fashion designers, and the new bespoke creation has to stand up to the work of Jean-Paul Gaultier. The 570GT is already for the person who wants a little more luxury from their British supercar, and MSO’s customization turns that opulence up another notch. On the outside, the coupe has Pacific Blue paint with a slight green tinge that matches the oceanic name. The team also adds a high-gloss black finish to the side skirts, door inserts, and trim around the front and rear. The result looks handsome and understated, which is the perfect aesthetic for such a posh event. MSO continues the glossy look inside. The designers replace the usual satin finish for the carbon fiber components with a shiny lacquer. The highly polished look takes over most of the cabin and even extends to the door sills. This custom 570GT focuses more on styling upgrades than improving the coupe’s performance, but MSO adds a few new parts, too. The car’s biturbo V8 boasts a titanium exhaust that is 30 percent lighter than stock. It also has golden titanium nitride tint heat shields that should gain a blue and purple color as the component heats up. MSO also brought a custom 570GT to the Pebble Beach Concours d’Elegance earlier this year. The coupe looked beautiful in a combination of Elite Pearl White exterior paint and gloss black trim. The division also added a pre-production electro-chromic that used a knob in the cabin to switch from a clear to dark tint. The interior featured a 12-speaker Bowers and Wilkins stereo, too. McLaren Automotive returns to Chantilly Arts & Elegance Richard Mille, Sunday September 4 at Domaine Chantilly for the third year running. The third edition of the glamorous event will see a stunning display of automotive extravagance. 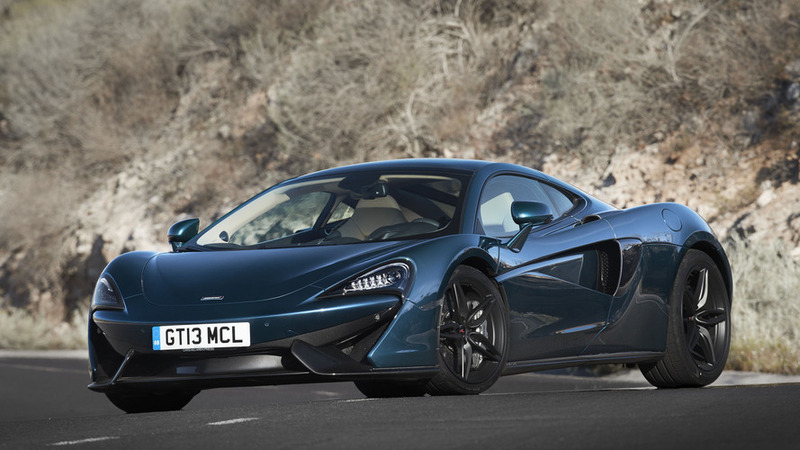 This year, McLaren is returning to showcase the new McLaren 570GT by MSO Concept in Pacific Blue. This model builds upon the recently-introduced 570GT, the most luxurious and refined McLaren to date. An ambition of Chantilly is to bring back the elegance of the 1920’s when manufacturers and fashion houses joined forces to showcase the future of the motor car and couture. This year, McLaren Automotive has been paired with the avant-garde fashion house, Jean-Paul Gaultier to take part in the Concept-Cars parade where the McLaren 570GT by MSO Concept will be shown.